Best known for its train stations Kings Cross has enjoyed a recent host of redevelopment projects which have throughly put the area back on the map, there are now a wealth of bars, restaurants and new shops popping up all over the area. Kings Cross is a great base for business travellers, but it is also ideal for visitors to London looking for some cultural activities with the British Library nearby and a short walk to Bloomsbury and only Oxford Street. If you are looking for a luxury stay in the area we have highlighted a few of our favourite hotels that have the TLE seal of approval. Looking for more London hotel ideas? Read our guide to new luxury hotel openings in London or our guide to the best boutique hotels in London. One of Britain’s most important and finest Neo-Gothic buildings is home to the incredible St Pancreas Renaissance hotel. Originally designed in 1873 at the Midland Grand, the hotel is now a 5 star powerhouse combining modern conveniences with the elegance of yesterdays grand accommodation offerings. Relax in spacious luxury guest rooms, unwind in the spa and pool and dine and drink in the hotel’s excellent restaurants and bar options. This is one of our favourite hotels in London! 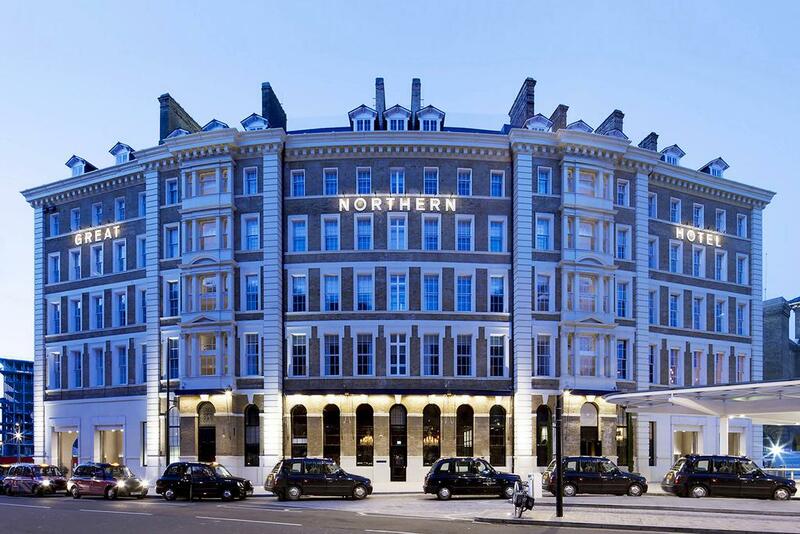 An other historical landmark hotel, the Great Northern sits adjacent to Kings Cross station and juxtaposed against the Renaissance Hotel. This Grande II listed building opened in 1854 during the golden age of steam. The property has been skill-fully renovated and is one of London’s finest boutique luxury hotels. Rooms feature beautifully handcrafted furniture and original decor set against Farrow & Ball shades with beautiful Lefroy-Brooks bathroom and free wifi, ideal for anyone arriving and departing from Kings Cross Station. 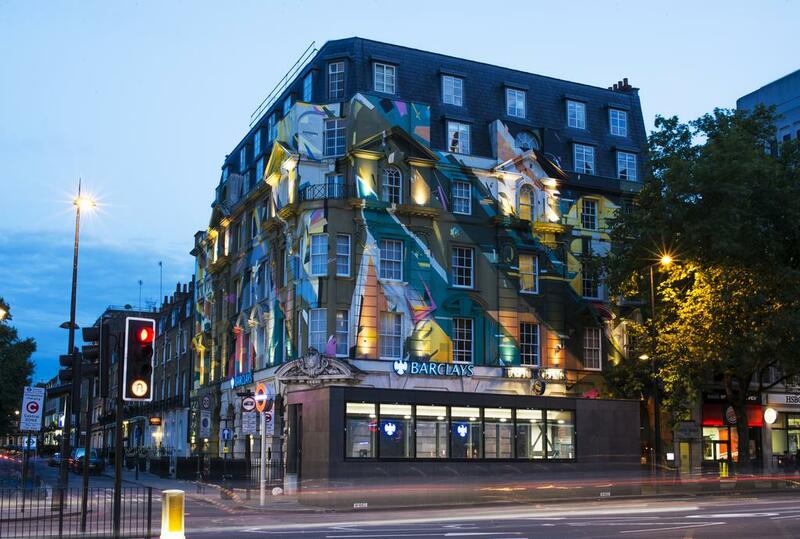 This glorious 4 star hotel located across from Kings Cross station breathes a breath of fresh air into Kings Cross with it graffiti fronted facade and newly refurbished Design Rooms. The Megaro is independently run and integrates, design, fashion, cinematography and music together with a big dose of British pop culture! Design Rooms come in 4 different styles with our favourite rooms being Backstage Britannia. There hotel has an all day dining restaurant ‘The Eatery’ as well as speakeasy basement bar and the lobby doubles up as the hotels mini bar too! 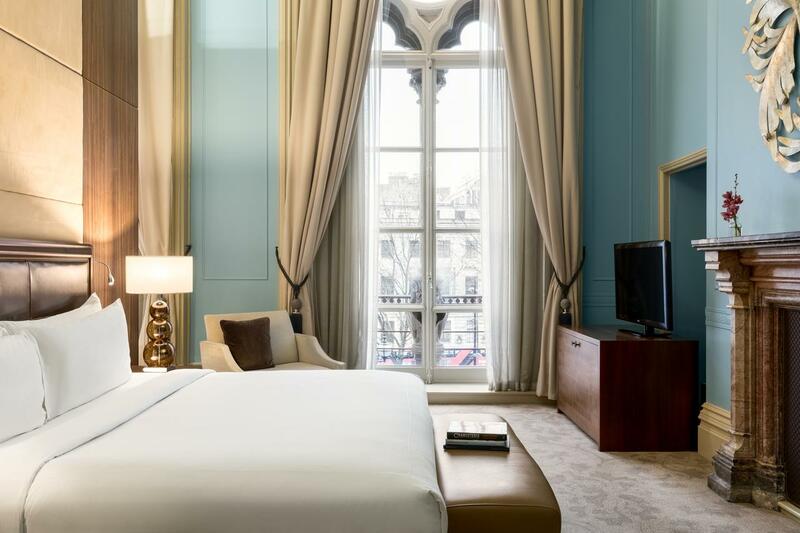 The Pullman London St Pancras is located a few minutes walk along Euston Road from St Pancras station. 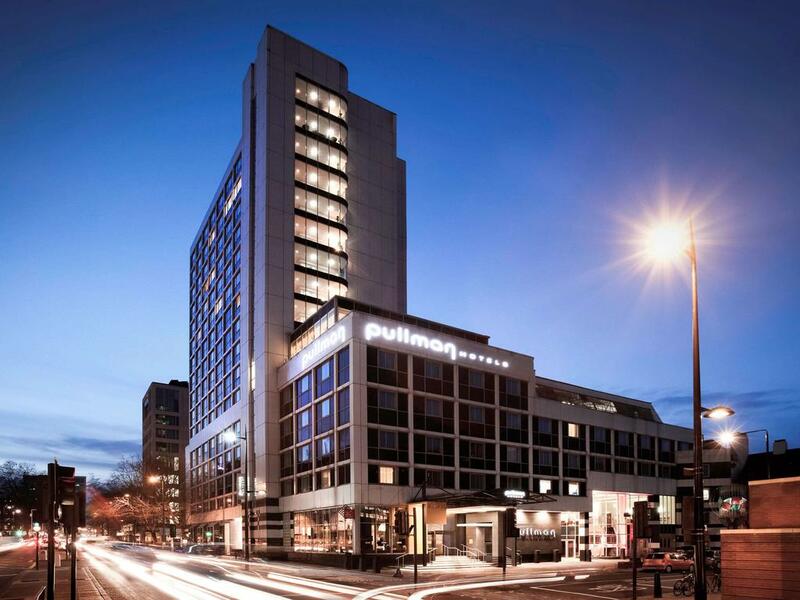 Pullman is a brand synonymous with a contemporary approach to luxury and the 312 room, 16 story property has recently had a £16m refurbishment, giving it a cool and fresh design. If you are staying at the Pullman try to get a room on one of the higher floors which have incredible views down todays Bloomsbury.